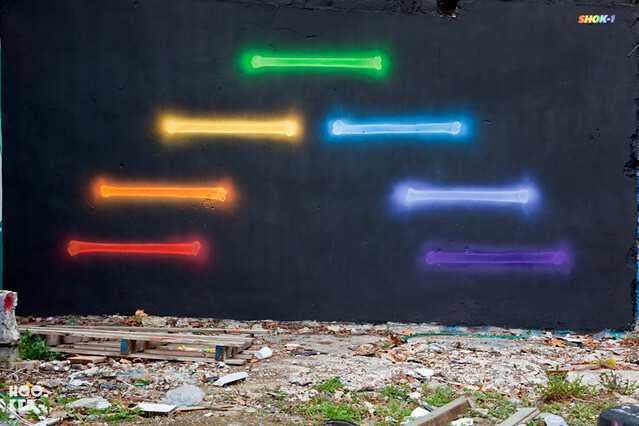 London based graffiti artist Shok-1 continues with his impressive X-Ray bones series with this newest addition, the X-Rainbow. 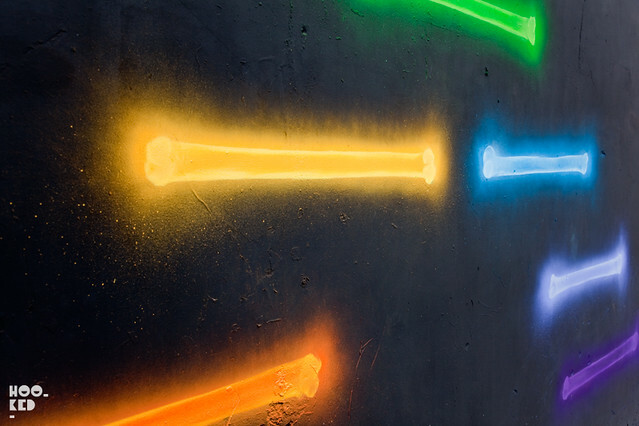 The vibrant neon looking wall is located in a small car park just of Brick Lane and around the corner from another larger Shok-1 piece painted on Fournier Street. 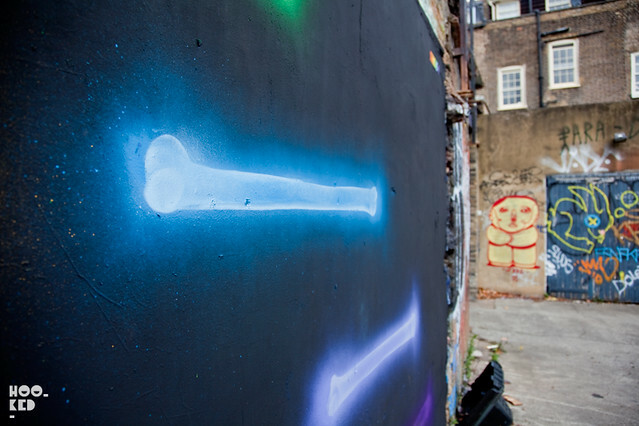 If you happen to be in the area can we also suggest you check out Shok-1's 'Heart Noose' piece painted earlier in the year on Picture's On Walls shutters on Commercial Street, as it is still looking fresh.